Kibbutz Nir-Eliyahu is located to the northeast of Kfar-Saba, on the Sharon red soil hills, watching the western slopes of Samaria. The Kibbutz belongs to the Southern Sharon regional council. On 27th of July, 1950 the first settlers pitched their tents. 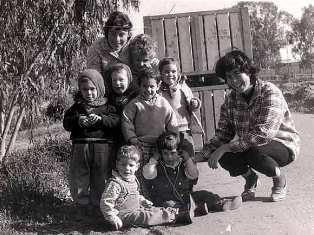 A group from Turkey with youth immigrants from Romania and Poland, which received training in the Kibbutzim Kfar-Giladi, Ein-Harod, Gal-Ed and Ashdot-Yaakov gathered for founding the kibbutz. The cause of settling in this location was the need to strengthen the rural population in the area and to block the border facing the Arab town of Qalqilia. 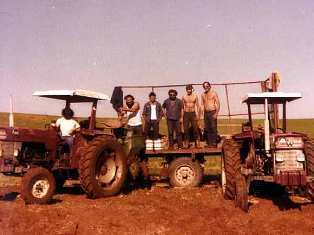 The kibbutz fields extended to the outskirts of Qalqilia , a fact that led to damage of equipment, buildings and crops. I was a Jewish voluteer from The USA in 1977. It was the dirtyist kibbutz I ever lived on. I encountered anti-american sentiment from an Israeli and most of the South Africans. Nobody made me feel accepted as a Jew. I will never go back there. Weird – I don't think the Jewish Americans still living on the kibbutz who also came around that time seem to have the same impression…. I agree with you 100%. I too volunteered there. Felt very welcome. Enjoyed the work experience and the members were very kind. Please , let mi sister Shoshke Levingson knows I will be arriving April 2nd……looking forward to meet her and all the famliy…her brother Froyke. ( March 31st 2018 ). 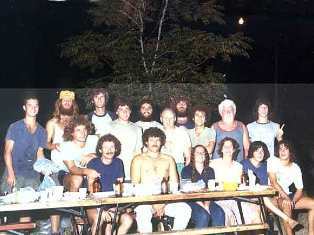 Hello, from France, we have been volunteers in Nir Eliyahu in 1975 , welcomed by Kalifa family. It was a very pleasant experience. We plan to come in the fist days of June. (for example the 1 or 2st of June) Is it possible to come and visit you ? and overnight ? Is Avram and Evy still there ? Thanks for your quick answer. Florence and Jean D.
Chers je vousmoi je suis toujours la! recevrais avec plaisir malheureusement abraham est decede cela fera2ans le mois demai. Sorry by Abraham's death. But Evy, tu es toujours là : wonderfull ! Hope you are in good health, the children also. I would be very glad to meet you. 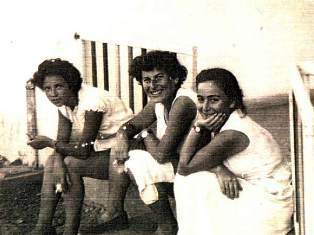 So I plan to come and visit you and the kibbutz on the evening 2th of june .I will come with my husband and 7 friends. Is it also possible to have a diner in the restaurant, before coming back to Tel Aviv ? (= We are 9 french adults). Thanks for your answer.